We are in the season of Lent. 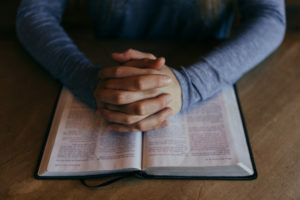 Since the time of the early church, Christians have used these weeks leading up to Easter as a special time for prayer, fasting, meditation, and spiritual renewal. For more information about Lent, you can read my article “What is Lent?“. Today we will look at what Jesus had to say about private spiritual practices that feed your soul. In the Sermon on the Mount, Jesus gave instruction on our spiritual practices, and as part of that he cautioned against “practicing our righteousness” so as to be seen by others (Mat. 6:1). We are often tempted to do “spiritual things” mainly so that we will impress the people around us. Jesus warns that we won’t have any reward if this is our motive. The fact that he begins his warning with the word “Beware” is a reminder that this is a real danger that we all face. Jesus goes on to describe three key spiritual practices that were a core part of first century Judaism and of the early church (Mat. 6:2-18). Giving to help those in need has been a regular part of the life of the church for the past 2000 years. Before modern government services were available, many schools, orphanages, and hospitals were founded by Christians. Most of us need to do far more in this area. But there is a danger of giving primarily to impress others with our generosity. We love to receive recognition for our good deeds. 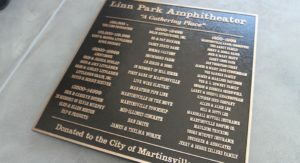 You have probably seen buildings in which a plaque listing the names of donors is prominently displayed. If you give enough money, you can even have a building named after you. Most of us cannot donate enough money to have a building named after us. But it is still easy to give a token amount of help, and then bask in the recognition and feeling of self-satisfaction for what we have done. Instead, Jesus urges us to “not let your left hand know what your right hand is doing” (Mat. 6:3). Prayer is one of the most widely recognized practices of the Christian faith. Praying together with our brothers and sisters is an important part of the Christian life. But it is very easy to focus on what other people think about our prayers. Either we construct long, elaborate prayers in an effort to impress others, or we are so concerned about what other people think that we are afraid to pray out loud at all. Either way, we are focused primarily on ourselves. Instead, Jesus tells us to “go into your room and shut the door” to pray (Mat. 6:6). Our sweetest, most intimate times of prayer should be when we are alone with God. That does not mean that praying together is not important, but rather that private prayer is foundational to the Christian life. Fasting is another practice that has been part of Christian spiritual life since ancient times. An ancient tradition is to not eat meat on Fridays because that is the day on which Jesus died. During Lent some choose to do a more intensive fast on Fridays, or on other days. We are perhaps less tempted to show off by our fasting then people were in the first century. Instead, for many people today fasting is a lost art. If you want to learn more about fasting you can read my other posts on this topic. Many entire books have been written on each of the three practices described above, so obviously I can give only the simplest summary. I want to focus on what these three examples have in common. In each of these examples, Jesus said that we should do these things “in secret” and that our heavenly Father who sees in secret will reward us. What we do in private matters. According to Jesus, if we put on a show of acting in a “spiritual” way in church but don’t practice our spirituality in private we are “hypocrites” (Mat. 6:2). What does your spiritual life look like when you are alone? In describing these practices, each time Jesus said “when you…” not “if you…” He assumed that his followers would do these things. Practices such as these are an essential part of growing in our relationship with God. There are many other spiritual practices that Christians have found helpful over the centuries. One obvious example is regularly reading and meditating on God’s Word. The third thing that Jesus said repeatedly in this section is that God is our heavenly Father. Look for all the times “Father” is used in this passage. These are not legalistic practices or an attempt to earn God’s love. Rather, they are useful habits for building our relationship with our heavenly Father who loves us. Recently I wrote on The Value of Sunday Worship. It is important to practice our faith as a community, but the foundation for that is our individual relationship with God through Jesus Christ. If we participate in public worship but God is absent from our private lives, we are hypocrites according to Jesus. How do you care for your soul? What does your relationship with God look like when you are alone? 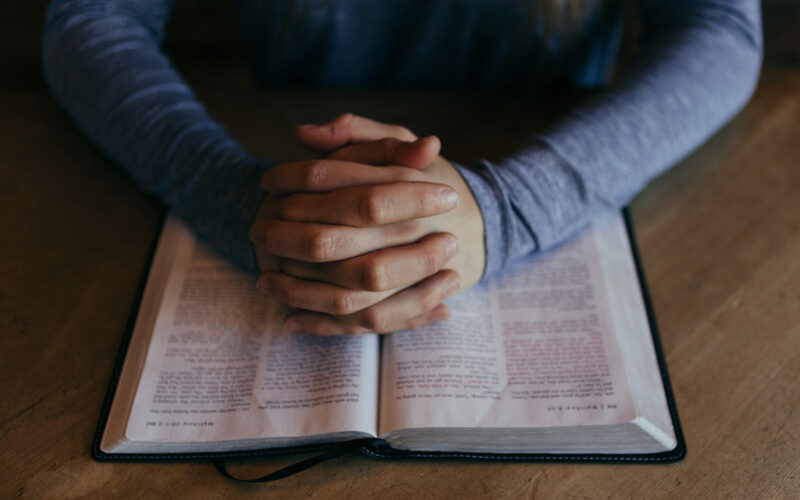 I invite you to take advantage of the season of Lent to learn or re-learn some of the healthy spiritual practices that will build your relationship with your heavenly Father. To hear a recent sermon that I shared on this topic visit my church website.